Unfortunately, many of our beloved customers and friends suffer with Coeliac disease. Far from just a gluten sensitivity, this condition is much more serious and complicated – and can be life-threatening if not treated. Yet, what exactly is it? What causes it, and how can it be treated? While still relatively rare (it affects around 1 in 100 people), we’re hearing about more and more stories of those with Coeliac disease, and it’s increased fourfold over the last decade. Put simply, it’s an autoimmune disease caused by a reaction of the immune system to gluten – a protein found in wheat, rye and barley. When someone who is Coeliac eats gluten, their immune system goes haywire and begins to damage the lining of the small intestine. Sadly, there’s currently no cure, and it’s a lifelong condition – the only treatment is to follow a strict gluten-free diet. Symptoms in children can include failure to thrive, diarrhoea, poor appetite, abdominal distention, lethargy and changes in mood. If you do suspect you may have Coeliac disease, then please chat things through with your GP. However, a word of warning: don’t eliminate gluten from your diet until you’ve been tested or diagnosed by a professional, or chatted to your doctor. What can I do if I’m Coeliac? 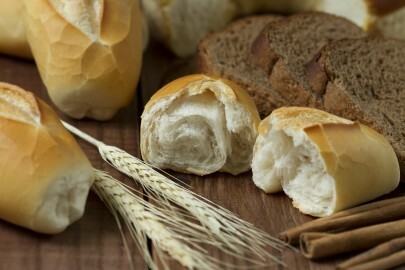 As we mentioned, the only treatment for Coeliac is by ditching gluten from your diet completely. Many people with Coeliac disease also find they’re intolerant to other foods, too, such as oats. If you are Coeliac or suspect you are, it’s important to chat with a doctor, and find out for sure. Once you’ve been tested, you should eliminate gluten completely from your diet, and see a registered dietician often.